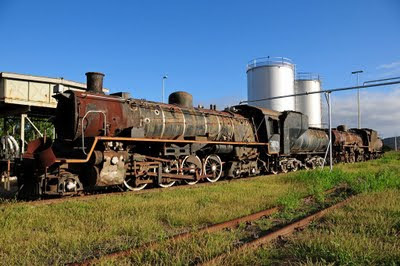 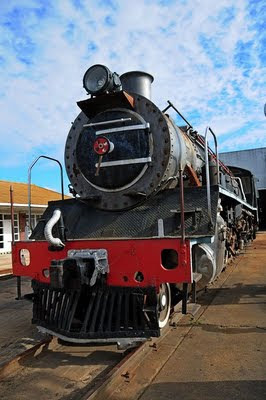 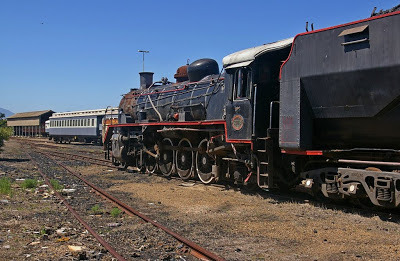 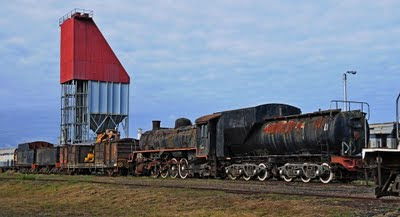 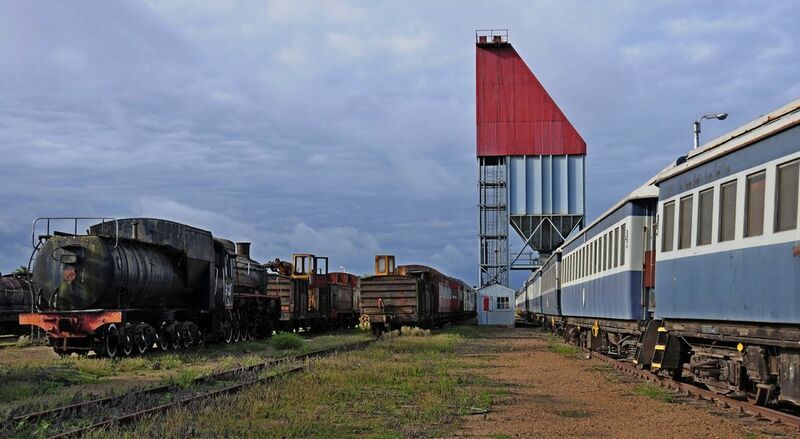 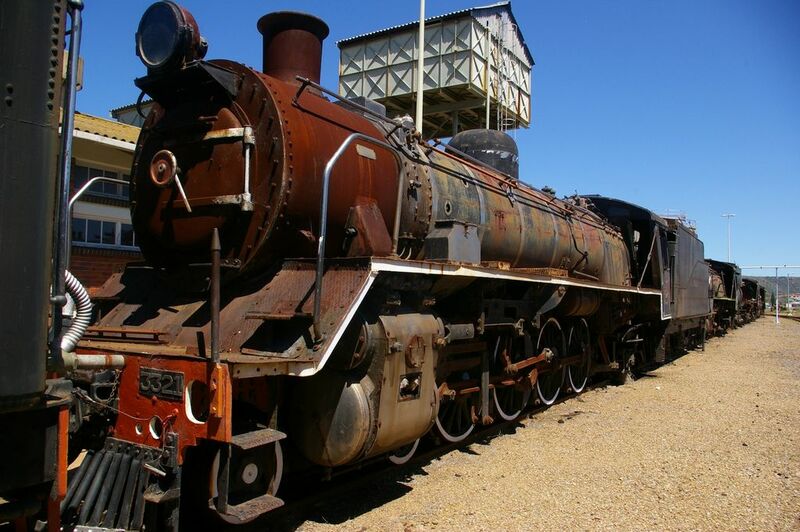 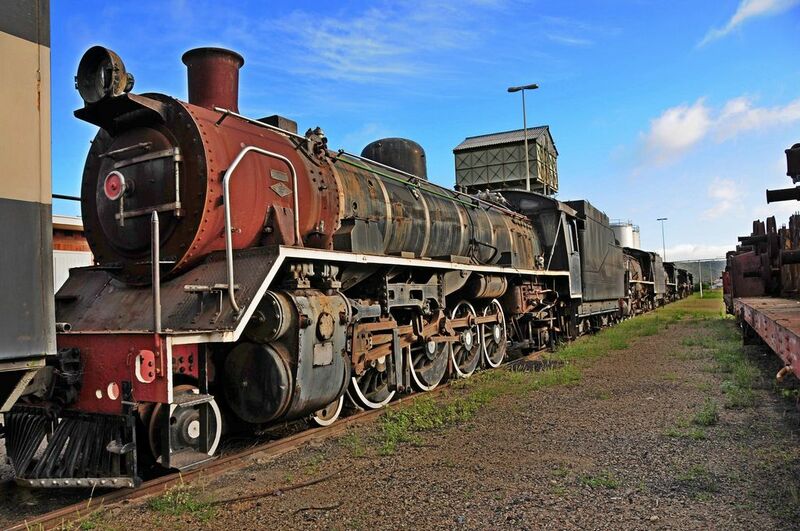 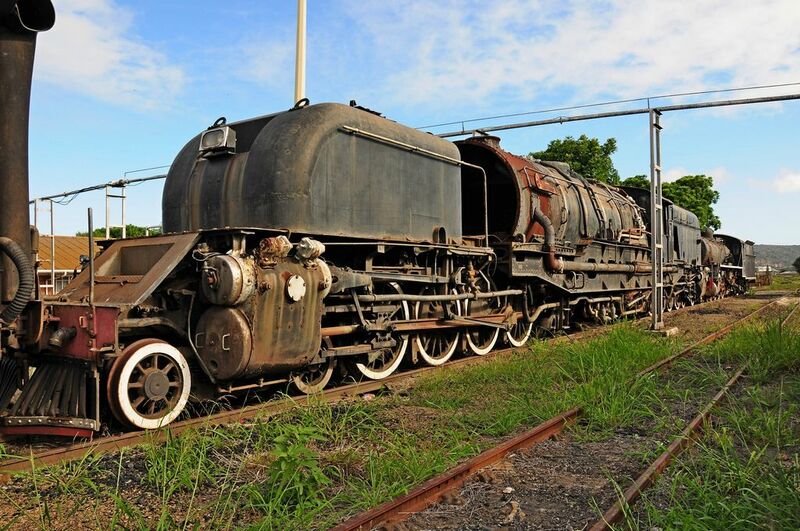 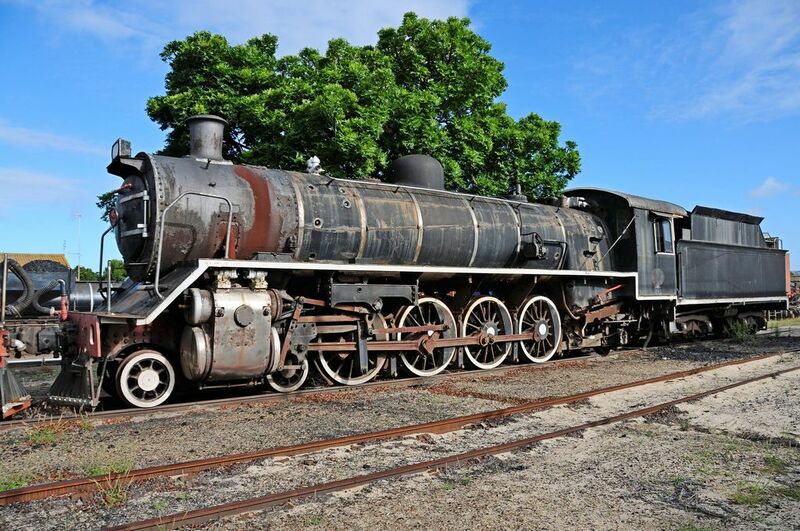 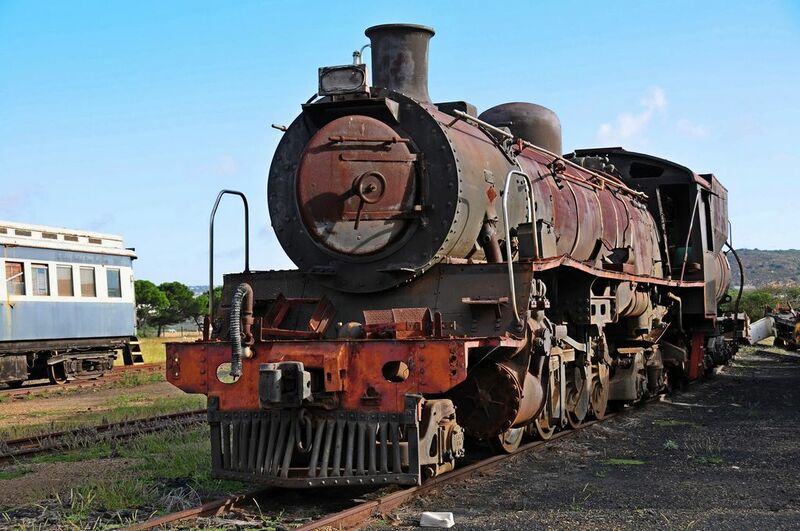 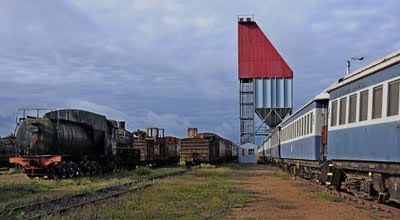 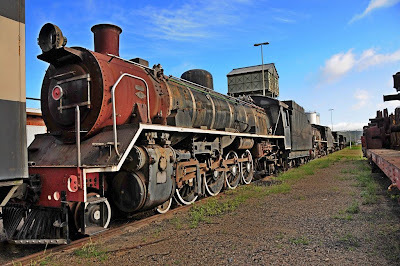 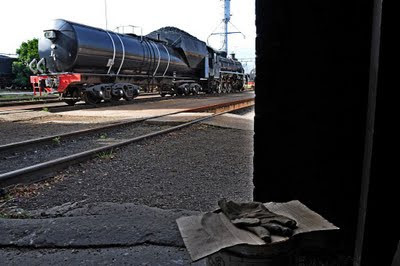 On Sunday 20 February 2011, from about 16h40 to 18h00, we made a quick photographic tour of the Voorbaai Locomotive shed and yard near Hartenbos. 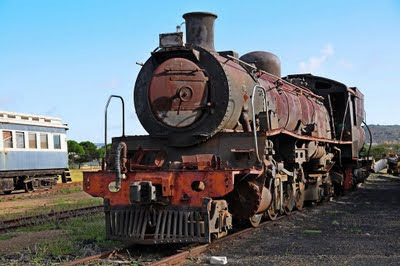 We were aware that there would be no activities at all. 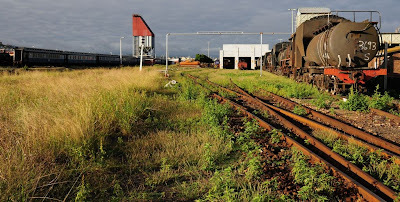 The area has 24h security, to whom we duly reported. 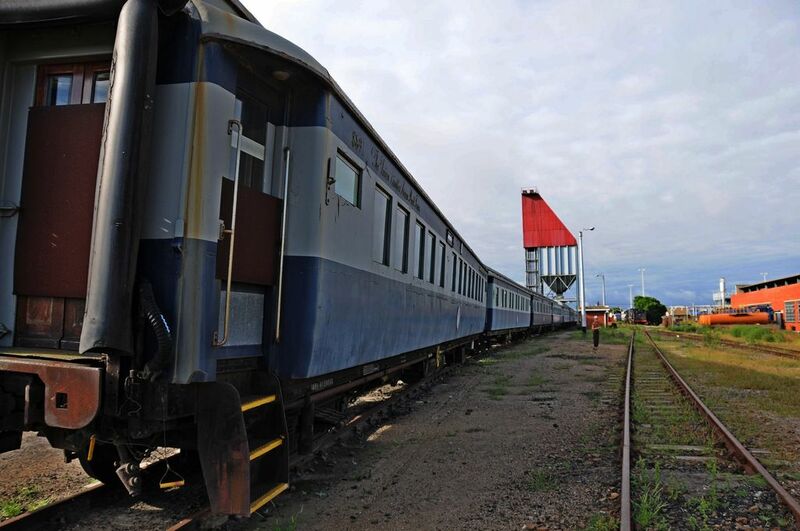 The area is accessible to interested persons on all week days at all hours. 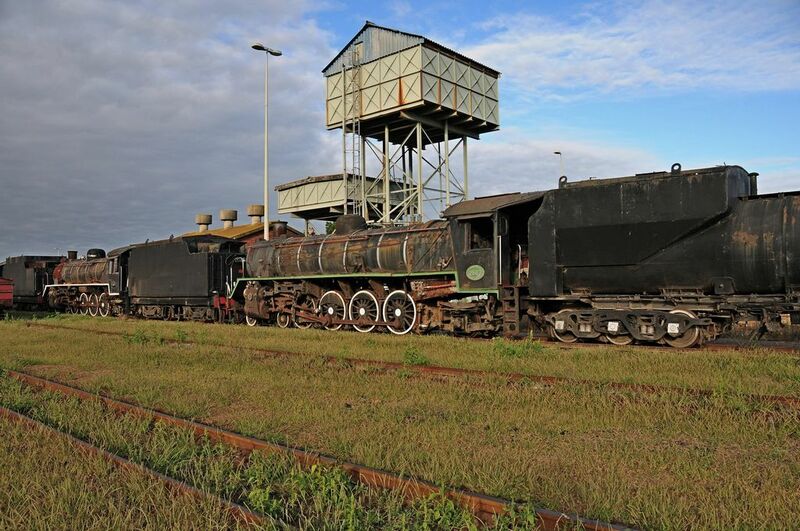 We noted that foot patrols were done by security staff carrying walkie-talkies, which gave the impression that the locomotives at the site were safe from metal scavengers. 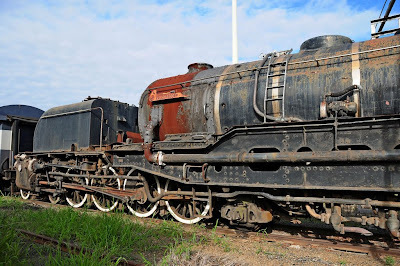 As our time was limited, and we could not collect all information, like boiler numbers, to help identify unmarked locomotives, therefore I am not able to identify all locomotives in my image collection. 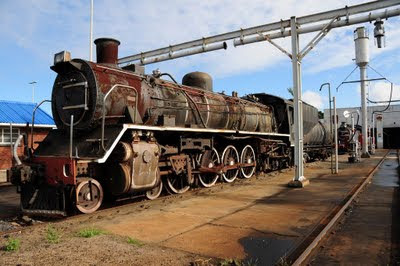 Some locomotives are paint-marked with a "S", presumably meaning "Scrap"(bad) or "Store"(better!). 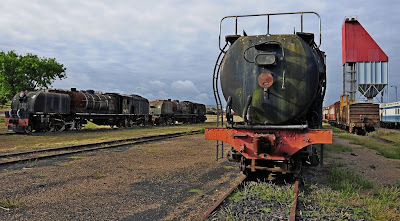 Please CLICK on any of the images to get an larger view. SAR 19D #2749 in the Shed at Voorbaai. 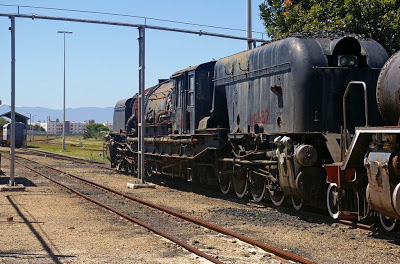 SAR GMAM carrying name plate "KRUGERSDORP"
4-8-2 SAR Class 19D 3322 built in 1949. She had been converted to an oil burner; Builder's number 26042 (North British). 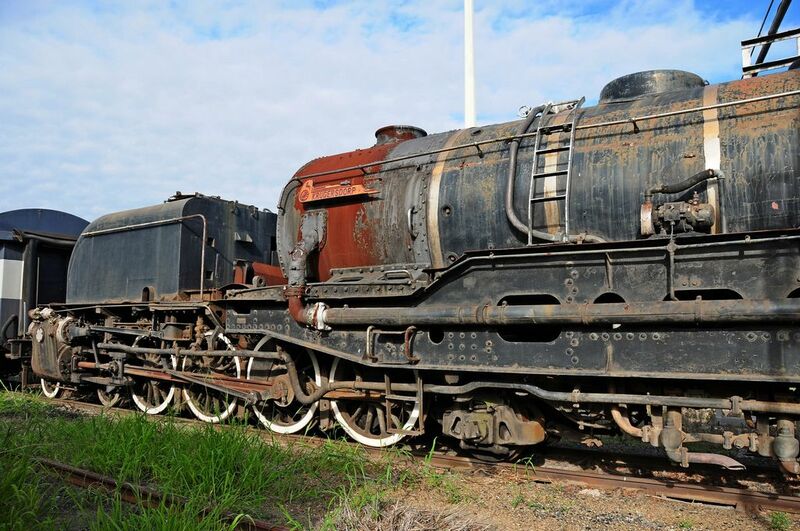 4-8-2 SAR Class 19B 1412 built around 1930; Builder's number 9838 (Berliner). 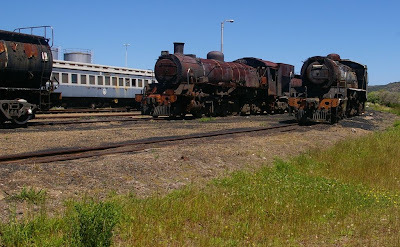 SAR 24 #3632 and SAR 24 3693, both marked "S"
SAR 24 #3632 marked "S"
On the left the Union Limited, on the right SAR 24 3693 marked "S"
on the right SAR 24 3693 marked "S"
"All of the stock at Voorbaai had VBxxx numbers spray painted on it. I would assume the only reason that this has happened is to allow the scrap merchants to bid at an asset sale." "If these locomotives and coaches are being sold as scrap, and the prices are determined by the respective weights of the metals therein, then surely a 19D (like 2749) would be just over R 150k to buy from Transnet? Is my logic flawed? 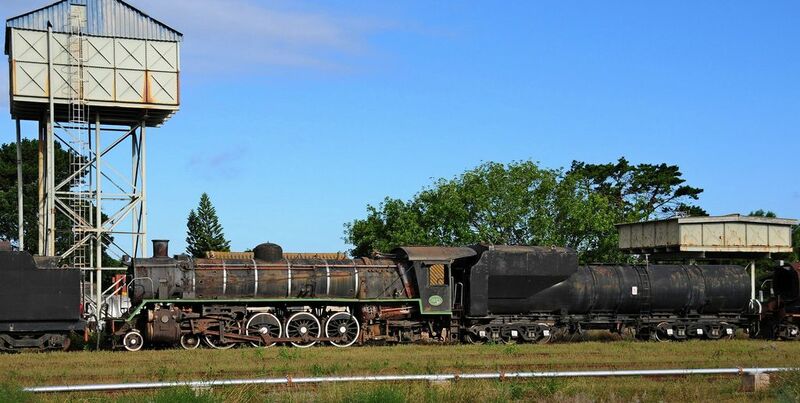 Seems like a bargain to preserve considering Tornado in the UK cost GBP 3 million to make!" 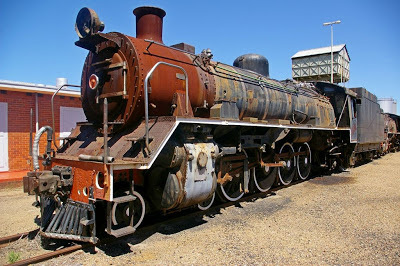 4-8-2 SAR Class 19D 3322 built in 1949. 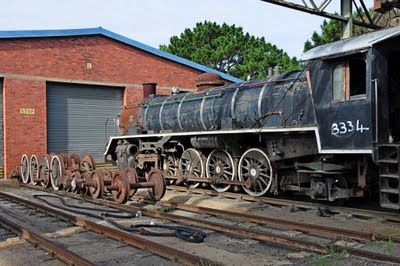 So much for the New South Africa!!! 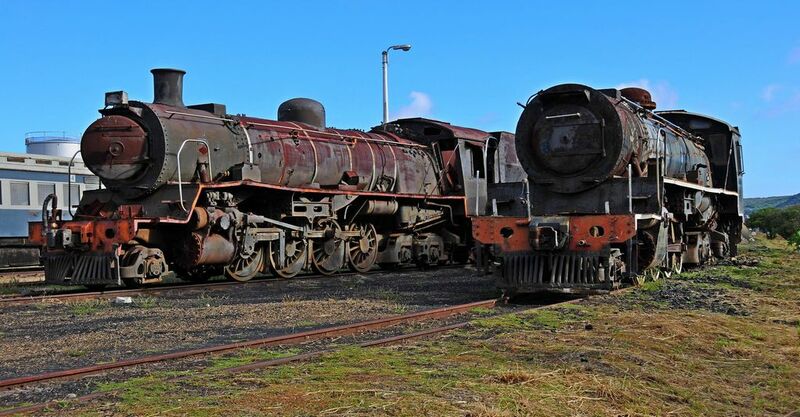 Everything they had is simply destroyed!!! 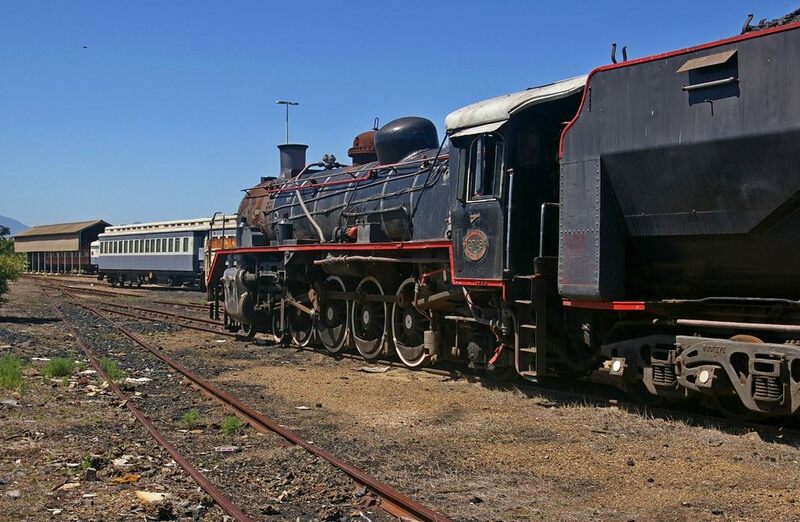 One day they will realize what could have been done with all these locomotives and just how they could be used to bring tourists to the country. Instead they are left to rot!!! Many other country's have realized that steam brings tourists but SA just never seems to learn until its too late!!! 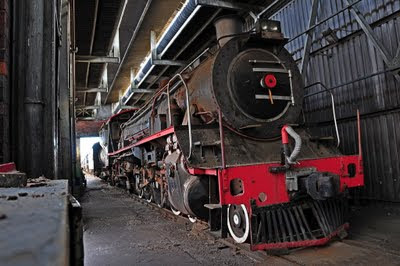 Thank goodness some people in SA have set up private preservation groups and are working very hard to save whatever they can but again the powers that be seem to do all they can to stop them in their tracks!! 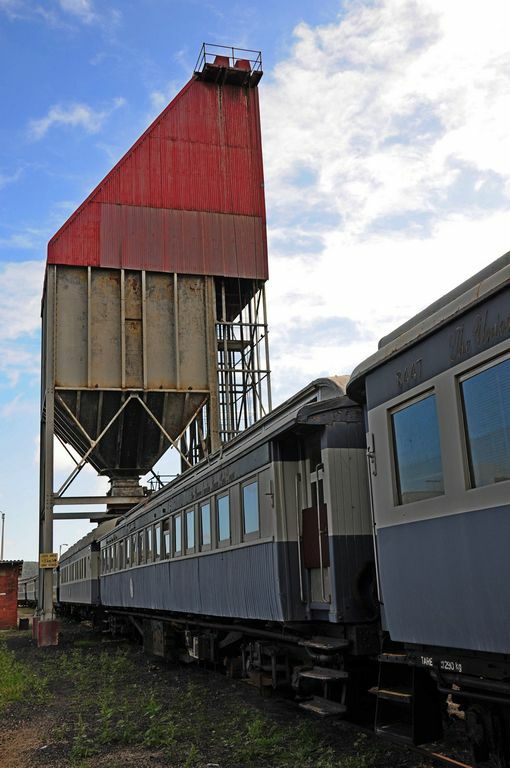 Good luck to all the preservation groups!! 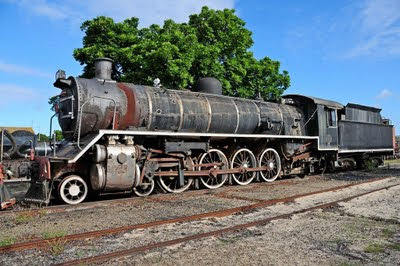 I firmly believe that if the correct people were spoken to some of these beautiful locomotives could be saved. Was in Mossel Bay over 2014 easter w/end. 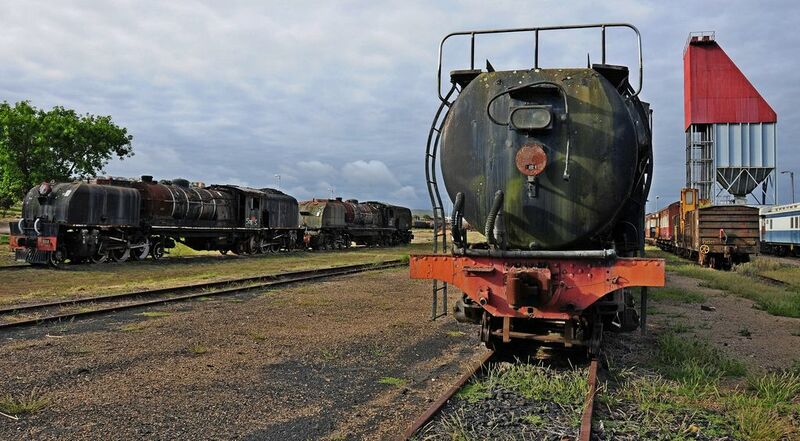 Looks as if some of the loco's are no more. 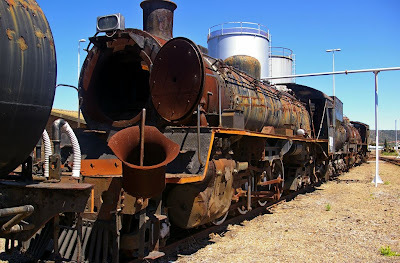 Could not get in to take closer look around. 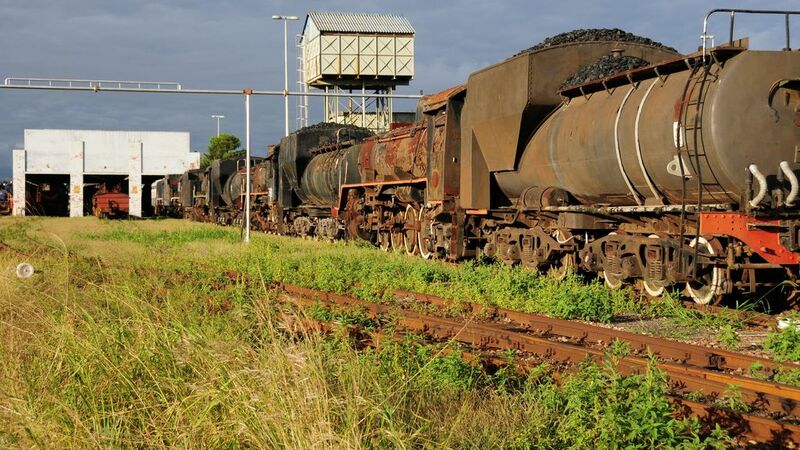 Assume the scrap dealers are in for the metal. 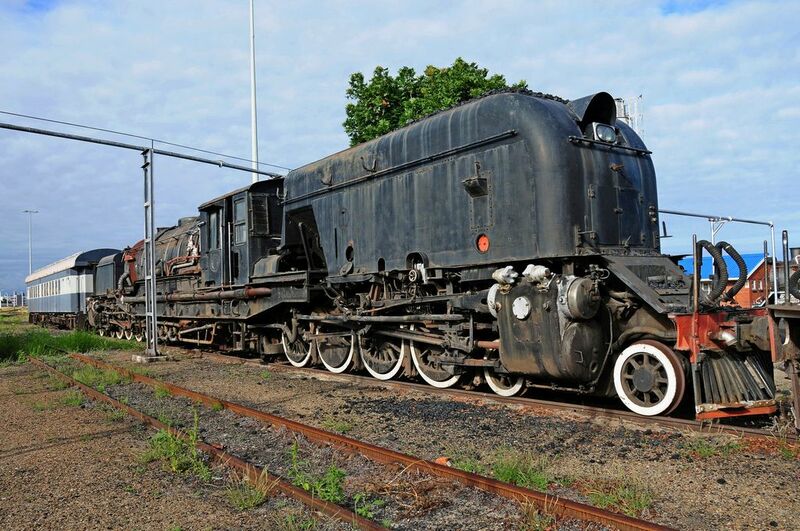 What a pity to see such beautiful steam dissapear in total. 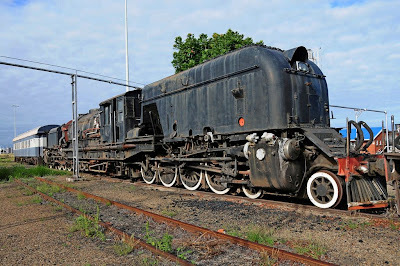 One of these locos, 19D No. 3321 is steaming again in Ceres. 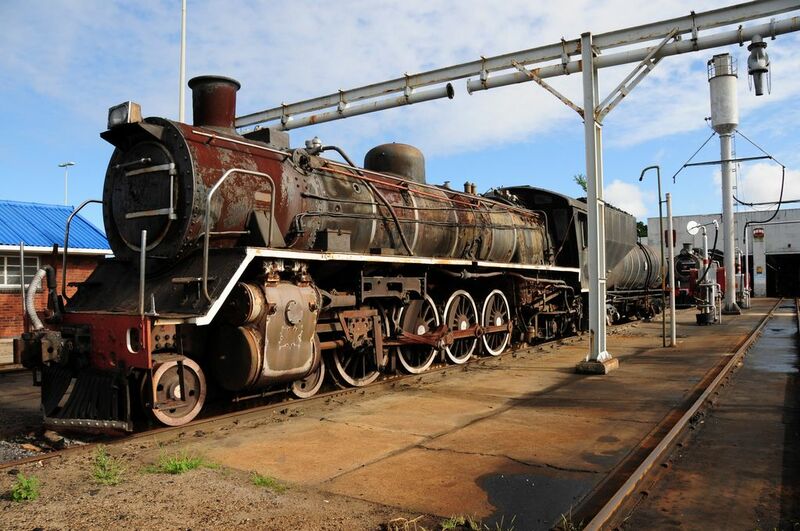 She travelled under her own steam from Voorbaai to Ceres a week ago. 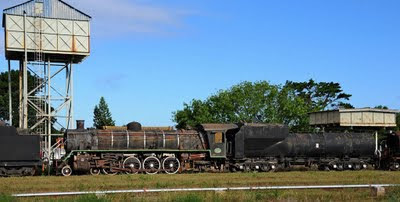 Now 19B No. 1412 is in the workshop being prepared for Ceres as well. 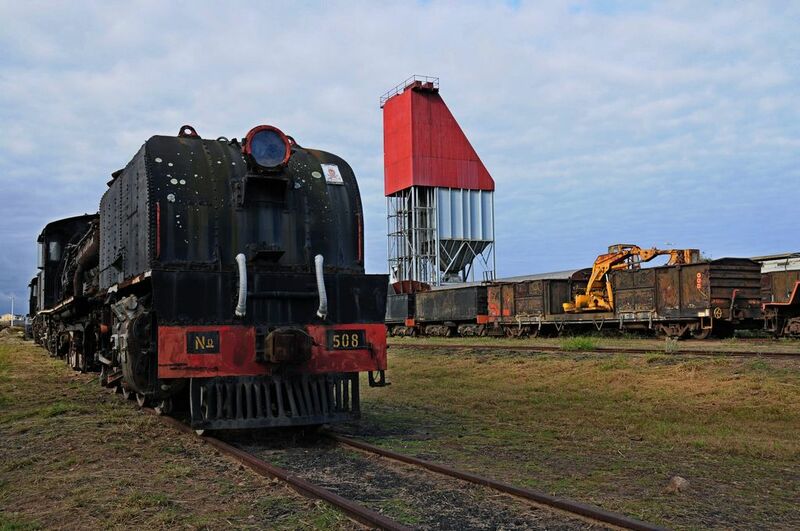 So at last some of these Voorbaai locos are getting a new lease of life.